Oh Martha, you are so perfect in everything you do. You have your hands in almost every aspect of building, decorating, and keeping a beautiful home. From furniture, rugs, paint, green cleaning supplies, crafts, books, flowers, to dishes and I could go on and on. How do you do it all and look as gorgeous as you do? Just one itty bitty bone to pick with you Martha- why no paint deck? I had to stand in the aisle of my local Home Depot and pick out each pretty little paint chip one by one to make my own paint deck. Not an easy thing to do I must tell you. Oh Martha how I love thee- please make a paint deck for us all to keep and treasure just like everything else with your name on it. Thanks a bunch, I know all my blog friends would really appreciate it! Doesn't good ol' Martha look like a babe in those shoes? She does look great! I am heading over to Home Depot to pick up these paint chips. Can't wait! perfect paints, be still my heart. I am a paint swatch junkie! She does look fabulous, doesn't she? Love the colors shown- good job making your own deck! 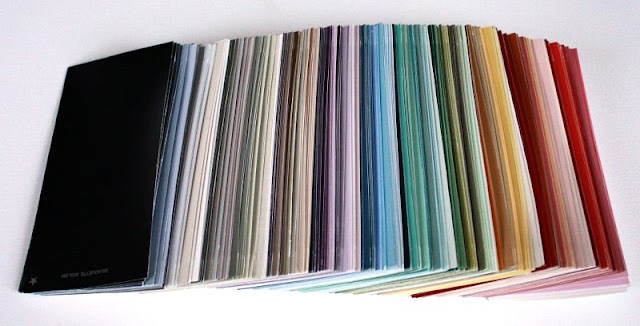 I admit I love paint swatches too!! I know right?! Silly Martha. I'm waiting until I have a free hour to get over to Home Depot and assemble my own paint deck too. I just made my own paint deck of the Behr Paint plus Primer colors. I have to wait a few weeks before I go back to get the Martha colors or the paint desk employees will start to wonder about me. can't wait to check it out! she is quite fabulous. Such a pretty little stack! Ha...love this! She does need a paint deck. I almost bought the Pantone one off of Dessy the other day. Not that I need it for the wedding colors but just to carry around with me to look at! did you grab me a set? please say you did!!! I've always been and will always be a Martha fan. She is inspiring. 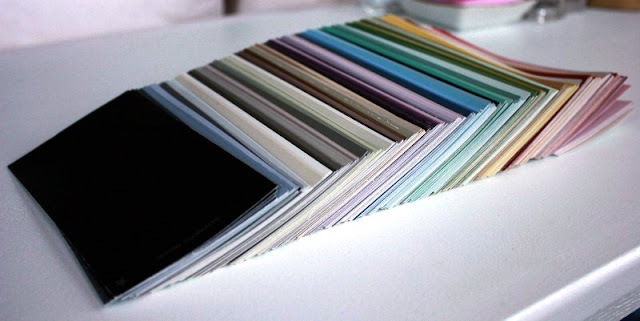 How in the world are you going to choose from one of those awesome colors, I have no clue! But good luck! Your so cute. I'm always at home depot or lowes with handfuls of paint chips. Ha-ha I'll have to check out Martha's paint line when I'm there next. Seriously, I Love how fresh she keeps things. 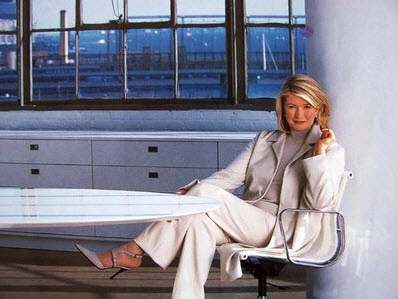 There is nothing Old or Frumpy about Martha Stewart. She has fabulous taste in everything! I will have to go and check them out! 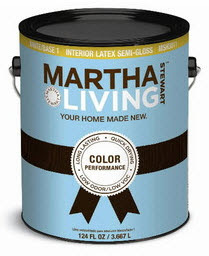 i'm more of a lowes girl, but perhaps martha will sway me. do you know how the prices are for her stuff? I have many, many walls to paint! wooo martha! She is so perfect. 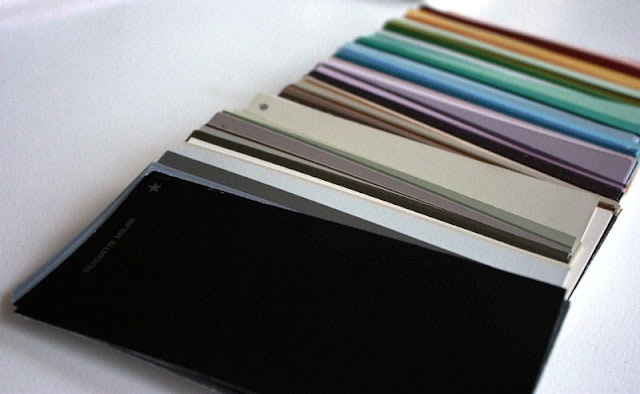 I love all those paint chips lined up!